A few months back I made this wood box using some scrap wood I had lying around. It was similar to pallet wood. Just a few even cuts, wood glue, some screws and paint and I had myself a long narrow wood box. 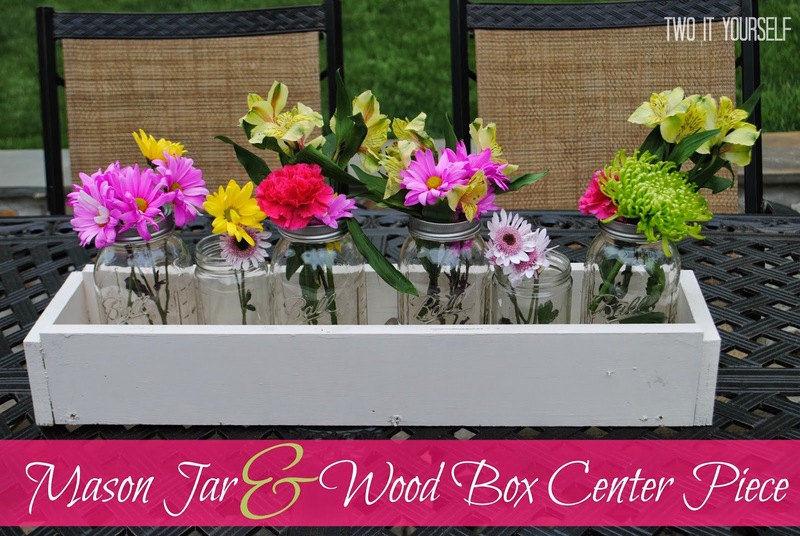 (Read the full tutorial to make the wood box here). It's been extremely versatile as the seasons change. As much as I've liked filing it with Christmas balls and pine cones and candles, as the winter holiday's changed, I think my new spring twist is my favorite. This is super simple...and such an impact piece. I got two different sizes of mason jars: 3 large jars and two small jars. 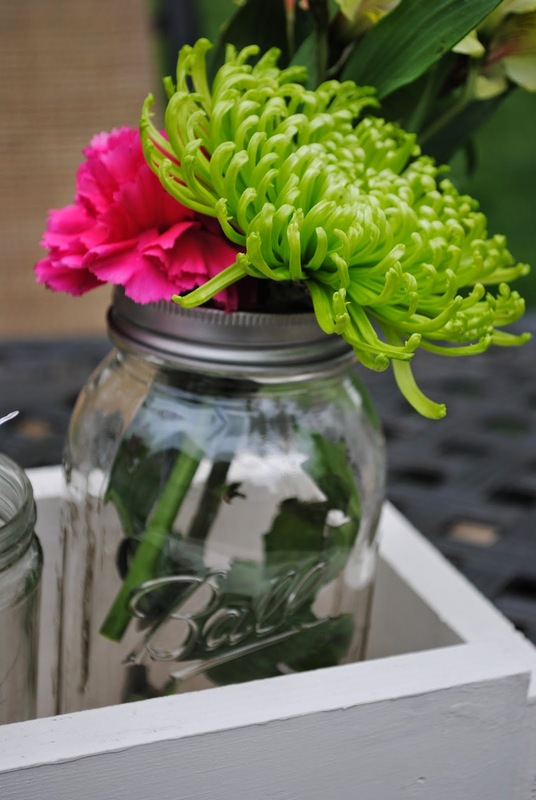 If you don't have mason jars, you can also use glass food jars from pickles, spaghetti sauce or whatever. 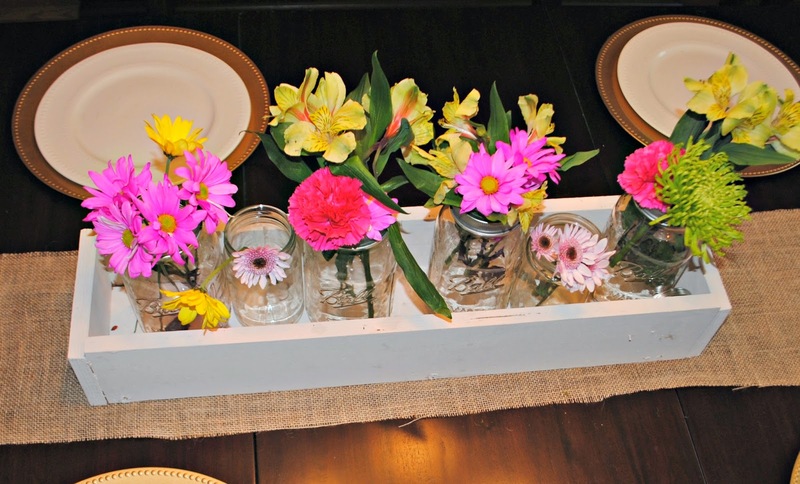 I filled each glass with a little bit of water and then split up an inexpensive, but brightly colored bouquet of supermarket flowers. I cut the stems down so the flowers were just tall enough to reach out of the jars. 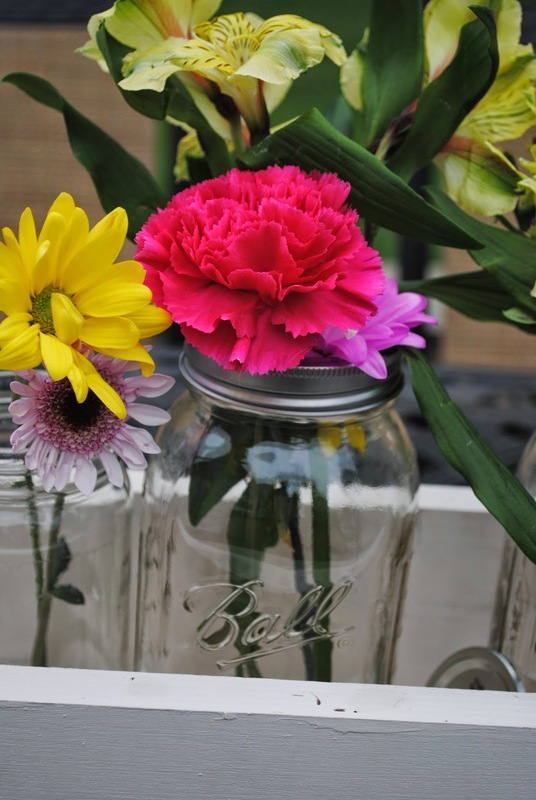 You could also do fill the jars with fake flowers, but for special occasions like a party or outdoor gathering, nothing beats fresh flowers. The grocery store bunches are usually inexpensive so even if they only last week they sure do add a lot of cheer. 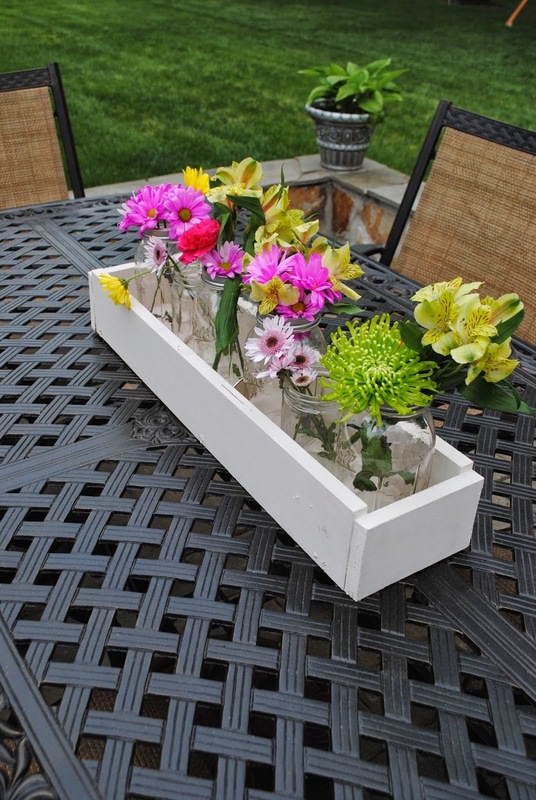 Since everything is contained in the box you can easily move the centerpiece around bringing it indoors or outdoors!